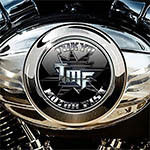 Tokyo Motor Fist features Ted Poley (Danger Danger), Steve Brown (Trixter), Greg Smith (Ted Nugent, Alice Cooper, Rainbow), and Chuck Burgi (Rainbow, Joe Lynn Turner, Blue Oyster Cult)! Killer rhythm section? Well, with Greg Smith (Ted Nugent, Rainbow, Alice Cooper) and Chuck Burgi (Rainbow, Blue Oyster Cult, Joe Lynn Turner) you simply can’t go wrong! 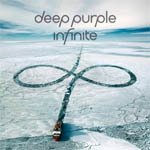 Deep Purple’s 20th studio album, InFinite. The album’s title, as well as the name of the upcoming Long Goodbye Tour, is part of speculation that Deep Purple are preparing to call it quits as they approach their 50th anniversary in 2018. 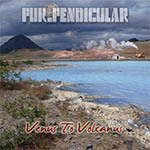 Purpendicular are delighted to announce the amazing skills of ex Ritchie Blackmores Rainbow Keyboardist Tony Carey who performs on the brand new album 'Venus to Volcanus' to be released on Fastball Music Germany. Tony performs on the Track 'Wonderful' along with Ian Paice (Deep Purple). 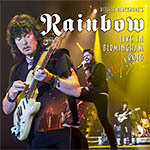 The two German shows at Loreley and Bietigheim were caught on camera to produce the concert film Memories In Rock, which was released by Eagle Vision and Eagle Records in November 2016. 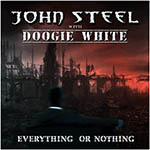 This new 2CD set captures the full audio from the British show at the Genting Arena at the NEC, Birmingham 2016. 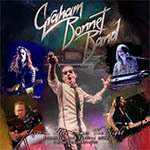 Graham Bonnet Band's performance at Frontiers Rock Festival III in Trezzo (Milan), Italy) on April 24, 2016. Bonnet is accompanied by a stellar band, featuring founding member Beth-Ami Heavenstone on bass, guitar sensation Conrado Pesinato on lead guitar, and Mark Zonder on drums. Alice Cooper has announced his new album Paranormal, the Rock and Roll Hall of Fame singer's first studio album since 2011's Welcome 2 My Nightmare. 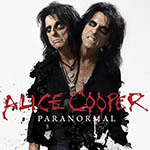 The 10-track Paranormal, produced by Cooper's longtime collaborator Bob Ezrin, features guest musicians like ZZ Top guitarist Billy Gibbons, U2 drummer Larry Mullen and Deep Purple's Roger Glover. The band was formed in April 2007 by Ivan Stalev (gutar), Boyko Gochev (bass) and Jivodar Dimitrov (drums). The idea of the band has come from a single project called Ivan Stalev Guitar Show! Jivodar and Boyko decided to tell the idea to form a new project to Ivan and that was the begining of the new band. 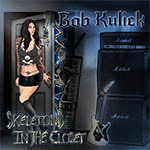 Throughout his forty-year music career, Bob Kulick has worked with an astonishing array of artists: from Meat Loaf to Motorhead. From Kiss to Michael Bolton. WASP to Diana Ross as well as legends such as Roger Daltrey, Alice Cooper, Lou Reed and Paul Stanley's first solo album and tour.